3 Night Family Vacation Package for Under $500! Summer is winding down and if you feel like your family is missing out on the fun, look no further than Eureka Springs, Arkansas.This affordable mini-vacation includes three-nights at the Basin Park Hotel any Monday – Thursday between July 17th – August 24th, a pick of EIGHT free attraction tickets, dinner at the Balcony Restaurant with FREE DESSERT. Book any Monday-Thursday between July 17th – August 24th! Book your Weekday Family Getaway today! 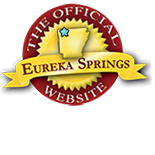 This entry was posted on July 6, 2017 by service424 in Attractions, Eureka Springs Lodging, Family Fun, Fun Downtown, Lodging Specials, Things to Do and tagged Balcony Restaurant, Basin Park, Eureka Springs Trolley, Great Passion Play, Intrigue Theater, spirits of the basin tour.